Hi all!! I apologize that it has been a week since I posted last - been very busy. 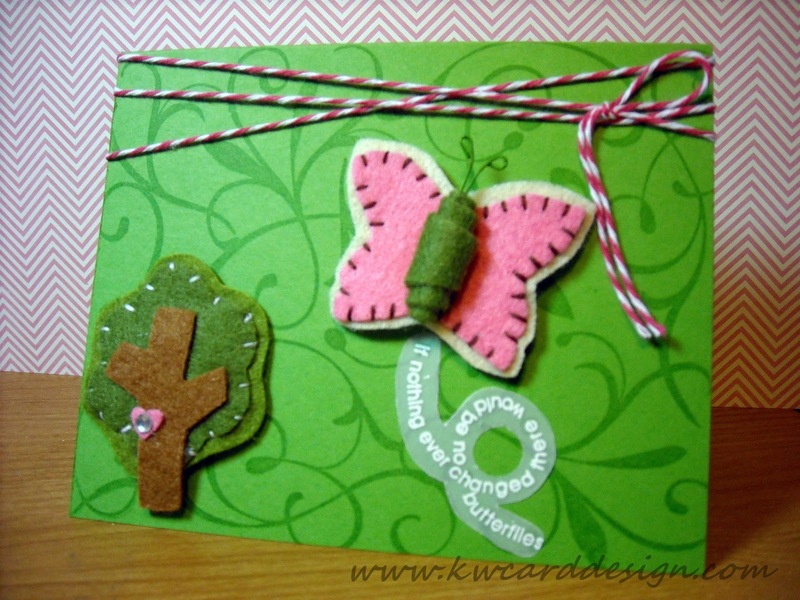 Today, I wanted to post my next submission for the newest challenge over at the CAS-ual Friday Challenge blog. This time we get to play Tic Tac Toe. This is a fun one to partake in! I decided to do emboss, felt, and twine. So - I had some felt pieces I wanted to use by Maya Road. I wrapped some hot pink/white twine for some pop, and heat embossed on some card stock vellum, my sentiment from Stampin' Up - "If nothing ever changed, there would be no butterflies". I love the bright and bold colors of how it turned out - and hopefully the Girl Fridays over at the blog will think the same thing. 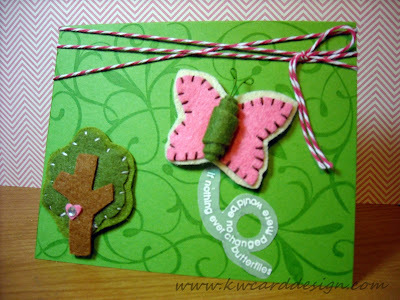 My next challenge is entering into the Ribbon Challenge over at Lily Pad Cards. Speaking of Lily Pad Cards, one of the designers, and co-owners - Vicky Papaioannou, is following my blog!! I am so stoked and happy that she decided to become a follower!! Vicky, if you are reading this - I am honored - and thank you so much for following lil ole' me!! You are wonderful! Ok ladies and gents - I'll be back with another card creation soon!! Those little felt pieces are 100% stinkin cute, and I love how you curled the stamped sentiment, very cool! More more more! Cute cute cute!! 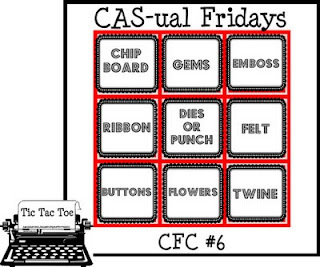 Love your little felties-really adorable :) Glad you played tic tac toe with us at CAS-ual Fridays! Super cute and fun! Love the twisted sentiment - great technique! Thanks so much for playing with us at CAS-ual Fridays - looking forward to seeing more of your beautiful work in future challenges! This is so bright and cheery! Love the felt butterfly with the sentiment as its trail, super sweet :) Thanks for playing with us this week at CAS-ual Fridays! Look at all that yummy felt! I love how you rolled the felt up for the butterflies body. 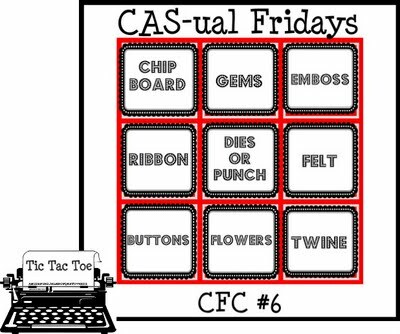 Thanks so much for playing along at CAS-ual Fridays!